Without water nothing lives. Be sure you’re staying well hydrated with purified water, and a diet high in water dense fruits and veggies. Click Here to learn what’s the best water to drink, in my free mini video series “Getting Started”. Ditch the dairy, sugar, and processed foods – These foods create mucus in the body. Mucus increases sinus and chest congestion, coughs, and a nice breeding place for cold and flu bugs. Two cans of soda (which contain 24 teaspoons of sugar) suppresses the immune system by 92 percent for up to five hours, according to Kenneth Bock, M.D., an expert in nutritional and environmental health. My Foods That Heal book is a great place to get started. You’ll learn how to eliminate gluten, dairy, and sugar, and not starve!! It includes a 30 day healthy meal plan, grocery list, and over 50 simple healthy recipes. ACV breaks up mucus, fights yeast, and kills harmful bacteria. Excellent for chest colds and coughs. My Daily Detox Drink 2-3 times a day. This is the best “flu shot” you can take!! It’s cleansing, anti-bacterial, anti-viral, stimulates digestion, boosts immune system, mineral rich, alkalizing, anti-inflammatory, anti-fungal, nourishing, and detoxifying…all in one shot. You cannot be healthy without beneficial gut bacteria. Over 60% of your immune system is in your gut. Raw fermented kombucha tea, water kefir, and cultured vegetables are are excellent food sources of beneficial bacteria. According to the American Institute of Stress, it is estimated 75%-90% of all visits to primary care physicians are for stress related problems. Your adrenal glands help your body adapt to stress. 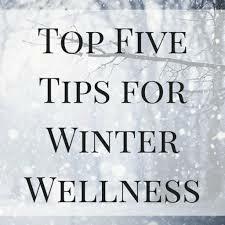 Managing stress and nourishing your adrenal glands is key to an important key to wellness all year round. In my free adrenal fatigue mini video series you can learn how to manage stress and support your adrenal glands. yes I think Nutritional Yeast is terrific! So versatile too. Just make sure it’s a brand that does not “spray” it with synthetic B vitamins. I know Braggs does not spray theirs. I don’t know about Red Star.